Aviation Fuel Quantity Probes and Senders. As an innovative technology leader, we're making a rapid mark in fuel and oil quantity engineering excellence, innovation, quality, and reliability. CiES is active in advanced design and development of aviation and high value systems and interfaces. Our primary focus is to bring entrepreneurial and cost-effective systems solutions to aviation, helping to solve historically difficult aviation challenges and improve aviation safety. On the fuel level system front, CiES will continue to be the market leader in fuel quantity solutions for the General Aviation sector. For the past six years we have been quietly working on dramatically improving fuel quantity in light aircraft in both manned and unmanned aircraft, with patented breakthroughs in fuel quantity system design and manufacture. In 2012, the company developed our magnetic field fuel quantity as a new type of fuel quantity measurement available for aviation. This technology incorporates a non-contact fuel measurement principle, allowing for a truly intrinsically safe fuel quantity system in aircraft. Basically, we eliminated all electrical contact within the fuel tank volume and the hazards associated with internal tank electrical contact. Our technology requires fewer sensors in the fuel tank to meet all regulatory requirements while meeting the highest accuracy stand for TSO fuel quantity. CiES exceeds 60,000 hrs. mean time to failure (MTTF) making our fuel quantity one of the most reliable aviation systems in existence. We Provide Exceptional Value and Service. We chose aviation as the launch platform for our fuel level technology, as there was a critical need for a better technology. Solving fuel level in this critical aviation application, that was notorious for poor fuel level reporting, gave us the skill, knowledge and credibility to solve difficult fuel level solutions. We earned our position as the premier fuel level solution for aircraft. In the air, on the water or on the ground, we have a fuel quantity solution. Our technology spans the fuel level sending field. We can measure any liquid (fuel or otherwise). Once we have installed magnetic field fuel sensing solution on your platform, we have solved your fuel level sensing problems. Magnetic field is the latest technology in fuel level sensing. We’re committed to accurate, safe and reliable fuel level. Bring us your fuel level sending issues and see what our technology and commitment to quality can achieve for you. "For anyone who is considering CiES fuel senders, these things are awesome. They are well worth the work to install. I ran all new shielded conductor up to the back of my JPI 930. 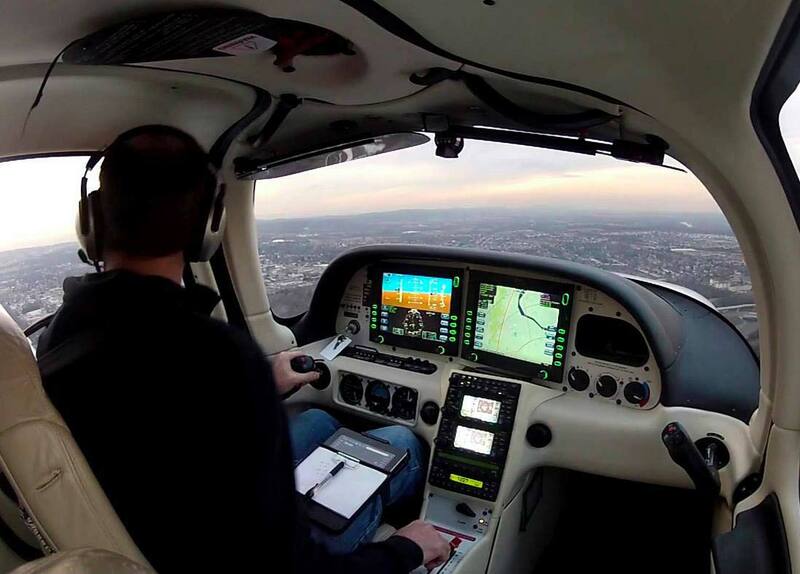 Finally, I have a reliable and consistent fuel measurement in my airplane." "If your airplane is down for an upgrade, I would send your old fuel senders to CiES. This will insure that the senders are appropriately set up the first time. Beech, in all their wisdom, made numerous different senders, inverting the bolt patterns on some, etc."